Original material on this page written and copyright protected by J. Hale for gobeyondnow.com, January 2011. You do not have permission to copy or reproduce the material, however, links to this webpage are welcomed. Power lines, appliances, TV sets, computers, cell phones, you name it. All electrically powered devices generate electromagnetic waves. Many household devices emit electromagnetic radiation even when they’re turned off. In addition to the countless sources of manmade electromagnetic radiation, the earth and its atmosphere are seething with natural electromagnetic activity. The sun plays a big role in our natural electromagnetic environment, while the stars and even the planet Jupiter also factor in, to a lesser but detectable degree. These terms can refer to electromagnetic fields emanating from a specific source, or to the combined level of electromagnetic radiation being produced by all sources within range at a certain location and time. 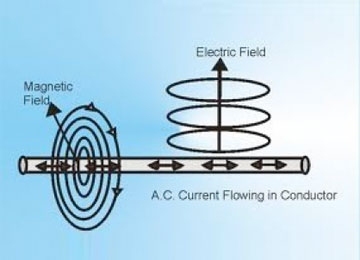 The graphic at right illustrates the two components of EMF, namely the electric field and the magnetic field, which radiate from a current-carrying conductor at right angles to the current flow, and to each other. *In the early days of electrical discovery, E.M.F. referred to "electromotive force", i.e., the force that is measured in volts. These terms are a bit outdated now, but many scientists still use them in the original context. Using EMF to mean "electromagnetic field" is more of a popular expression rather than a formal scientific term, but it has certainly become well-established in our culture. 1) There's been a great deal of controversy about the effects of EMF’s on human health. Specifically, people are concerned that exposure to EMF’s may be related to cancer, leukemia, Alzheimer’s disease, and other disorders associated with pathological cell growth. "Officially" there is no verifiable connection as of yet, but even the skeptics advise caution and prudent avoidance. One school of thought says that EMF’s can stimulate abnormal brainwave activity and create false sensations of experiencing a paranormal event – a ghostly encounter, or an alien abduction, that sort of thing. Dr. Michael Persinger is well known for his "brain-helmet" experiments that demonstrate the strange ways in which electromagnetic stimulation can affect our perception and cognitive processes. On the other hand, many investigators believe that paranormal activity is real and suspect it may be triggered by high EMF’s. Also, evidence from a multitude of case studies suggests that paranormal events are often accompanied by unusual electromagnetic effects of their own. EMF meters have become a popular tool for measuring electromagnetic fields. These meters are usually calibrated in terms of gauss (G) or milligauss (mG). The earth’s slowly fluctuating magnetic field averages about 500mG, while the background EMF of a typical home measures about 1-2 mG above the earth’s field. A few EMF meters are calibrated in terms of teslas (T) with 1 tesla equal to 10,000 gauss. the relative strength of the local electromagnetic field. Some meters use the familiar moving needle pointer, some give a digital readout, others have a graphical display with multi-colored lights. Some are designed to look scientific and technical, others have pictures of cute little ghosts or UFO’s printed on them. Regardless of their design, optional features, and marketing claims, all EMF meters do the same thing: they indicate the relative strength of the local electromagnetic field. As far as a meter is concerned, the EMF generated by a lamp is the same as the EMF generated by a computer which is the same as the EMF generated by a television set, etc. Unfortunately, that’s a gross oversimplification. There are many distinctive differences in the qualities of electromagnetic radiation generated by different sources. These qualities include such variables as frequency, polarity, waveform, pulse duration, etc. EMF meters are blind to these differences; they measure everything in terms of quantity and then display a number on an arbitrary scale. the clerk you’d like to buy two pounds. "Two pounds of what?" she’d probably ask. a pound of caviar – or apples and oranges. a number on a scale can tell us. 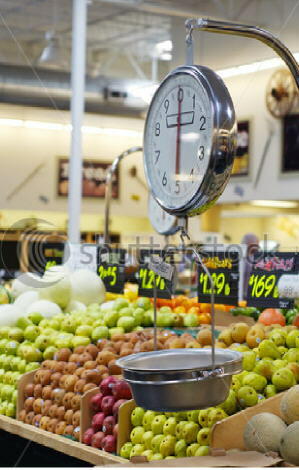 We wouldn’t think of lumping everything together at the check out register and expect to pay for a two pound mix of assorted groceries, but that’s very similar to what we’re doing when we use an EMF meter to evaluate our electromagnetic environment. It really doesn't make much sense. The problem is that we’ve never seen, felt, tasted, smelled, or heard electromagnetic waves. We don’t have that first-hand sense of familiarity with them, so it isn’t intuitively obvious that there might be significant differences between the electromagnetic fields produced by different sources. Put simply, we don't even know what we don't know. Think of the Wave Wizard as a special kind of radio. It's not for listening to music or chat, it's for listening directly to electromagnetic waves. As soon as you start hearing EMF's through the Wave Wizard, you will begin to develop a better sense of what's really going on in the electromagnetic world around you. Technically speaking, the Wave Wizard is a type of transducer – a device that converts one form of energy into another. A microphone is a transducer that converts sound waves into an electrical signal. The Wave Wizard works the other way around, it converts electromagnetic energy into sound waves that you can listen to in real time through standard earphones. The Wave Wizard is open to a broad range of frequencies all at once, meaning that you can hear the EMF sounds coming from any number of sources simultaneously. The sounds that you will hear correspond exactly to the frequency and waveform characteristics of the electromagnetic fields emanating from those sources. When using the Wave Wizard, you will be able to hear and distinguish subtle (and not so subtle) differences between the various forms of EMF, and you can learn to recognize certain signature characteristics – just as you're able to hear and distinguish different instruments playing in an orchestra. What you will be hearing with the Wave Wizard is more like a "cacophony" than a symphony though. Some of the sounds will seem harsh and grating, others will be evanescent whirs, whines, crackles, chirps, and pops. Always changing, often fascinating, sometimes a little frightening. Could any of these sounds be coming from sources that are supernatural? The Wave Wizard has been used extensively during investigations of sites with suspected paranormal activity. The device repeatedly led to breakthrough discoveries that could not have been made using any other method. Based on these observations, several specific theories (not just abstract speculations) concerning the electromagnetic wave nature of "ghosts" and "poltergeist" have been put forth. There will be much more about all of this, as well as details about a Wave Wizard user who may have been the first person to ever hear the direct electromagnetic signal from a ghost, in the user's manual. For now, suffice it to say that the Wave Wizard has already proven itself to be the most promising and scientifically useful tool that the paranormal research community has seen in decades. 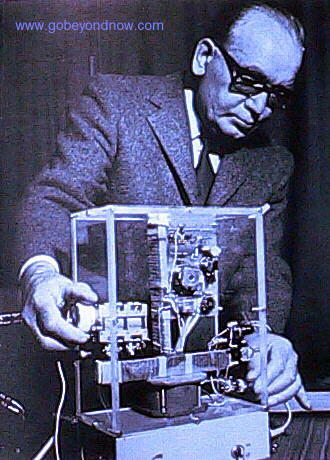 Konstantin Raudive with the Goniometer. One important benefit for paranormal researchers is that some of the things you can hear with the Wave Wizard are exactly the kinds of things that can create false signals when you're trying to record EVP's. 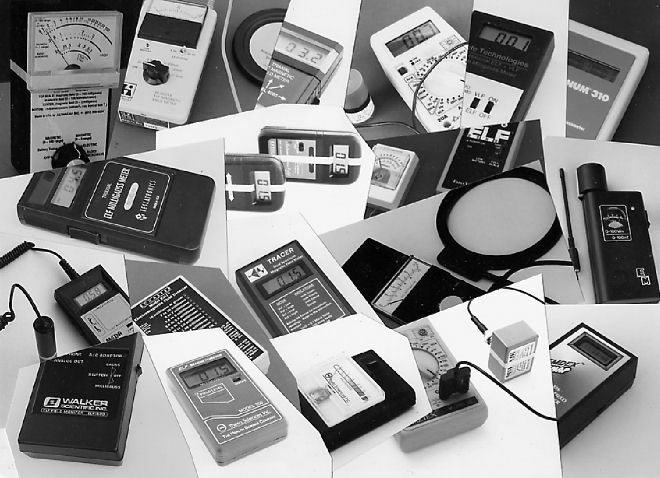 All recording equipment is subject to spurious interference from electromagnetic radiation. Such interference can produce audible effects that might be mistaken for mysterious voices in a recording. 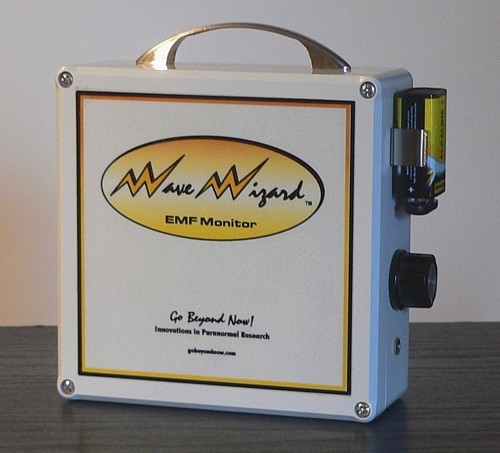 By using the Wave Wizard to monitor ambient EMF's during recording sessions, you can be alerted to normal electromagnetic effects and avoid confusing them with anything paranormal. In fact, the Wave Wizard itself can be used in conjunction with a recorder to provide a method for EVP experimentation that bears some similarities with Raudive's 1950's era Goniometer. If the unseen forces that produce EVP's are indeed electromagnetic in nature, then the Wave Wizard should make an ideal interface for capturing them on tape or digital media. then the Wave Wizard can open the door to a whole new universe of research possibilities. Until now, all of the studies that have been done in this regard have taken the "lump it all together" approach by using EMF meters to quantify the level of electromagnetism that people (or lab animals) have been exposed to. Once again, the truth is that not all EMF's are the same, and it could be that by overlooking this simple fact, scientists are missing their opportunity to identify which specific aspects of EMF may be hazardous to human health. Regardless of the reasons behind your interest in electromagnetic fields, the important thing to understand is that the Wave Wizard can open your ears and your mind to something that very few people have ever experienced or even heard about. The possibilities for ground-breaking research are limited only by your imagination and your pioneering spirit. The Wave Wizard costs about the same as a good quality EMF meter, but it delivers so much more. It is simple to use right out of the box, you don't have to be a techno-geek to figure it out, and the user's manual will provide lots of helpful advice, suggestions, and additional background information on what to listen for as you begin to explore the fascinating world of EMF's.